Each of these four countries have figured among the elected non-permanent members of the council since the UN’s establishment. France supports inclusion of G4 and an African representative as permanent member with no objection to the veto power being extended to new permanent members. UK supports G4 as new members but without veto power. G4’s bids are often opposed by Uniting for Consensus movement or Coffee Club (ground 12 countries including Pakistan led by Italy) and particularly their economic competitors or political rivals. The theme of summit was ‘Global Partners for Global Challenges’. As of 2015, the 15 countries accounted for 43 percent of global oil productionand 73 percent of the world’s “proven” oil reserves, giving OPEC a major influence on global oil prices. The forum provides the three countries with a platform to engage in discussions for cooperation in the field of agriculture, trade, culture, and defence among others. 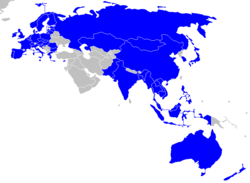 Brasilia Declaration (2003) : Approved urgent need for reforms in the United Nations, especially the Security Council. 21 member states : South Africa, Mozambique, Tanzania, Kenya, Madagascar, Comoros, Mauritius, Seychelles, Iran, Oman, UAE, Yemen, India, Sri Lanka, Bangladesh, Malaysia, Indonesia, Singapore, Thailand, Australia and Somalia. Secretariat of IORA is located at Ebene, Mauritius. The 2017 Indian-Ocean Rim Association (IORA) Summit (March 5-7, 2017) was the first IORA Summit. Held in Jakarta, Indonesia. 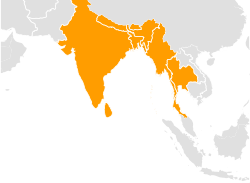 It is an international organisation involving a group of countries in South Asia and South East Asia. Third Summit was held in Nay Pyi Taw, Myanmar in March 2014. 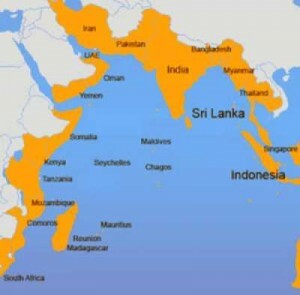 The Indian Ocean Rim Association (IORA), formerly known as the Indian Ocean Rim Initiative and Indian Ocean Rim Association for Regional Cooperation (IOR-ARC), is an international organisation consisting of coastal states bordering the Indian Ocean. The Coordinating Secretariat of IORA is located at Ebene, Mauritius. The organisation was first established as Indian Ocean Rim Initiative in Mauritius on March 1995 and formally launched in 1997 by the conclusion of a multilateral treaty known as the Charter of the Indian Ocean Rim Association for Regional Co-operation. 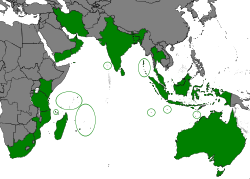 The Indian Ocean Rim Association (IORA) is an international organization with 21 Member States – Australia, Bangladesh, Comoros, India, Indonesia, Iran, Kenya, Madagascar, Malaysia, Mauritius, Mozambique, Oman, Seychelles, Singapore, Somalia (latest member – joined in 2014), South Africa, Sri Lanka, Tanzania, Thailand, UAE and Yemen. To promote sustainable growth and balanced development of the region and member states. To focus on those areas of economic cooperation which provide maximum opportunities for development, shared interest and mutual benefits. To promote liberalisation, remove impediments and lower barriers towards a freer and enhanced flow of goods, services, investment, and technology within the Indian Ocean rim. Narcotic drug trafficking in the IOR poses a threat to peace and security in the region and its possible link to organized crime and funding of terrorism. It stresses upon need for coastal states to cooperate more closely on enforcing maritime law, providing mutual legal assistance and sharing information in narcotic drug trafficking. It also calls for the expansion and development of communication through the United Nations Office on Drugs and Crime (UNODC’s) Indian Ocean Prosecutors Network. It called on the littoral states of the IOR to meet on an annual basis within the framework of the Southern Route Partnership (SRP) of Indian Ocean Forum on Maritime Crime (IOFMC). These states must assess and report on the drug trafficking threat in the IOR and develop a coordinated approach to counter such threats. Finalise linkages and alliances amongst MSMEs organizations, associations and various institutions engaged in MSME development in IORA countries. Exchange best practices, programs and policies for MSME development. Exchange greater involvement of MSMEs in the global supply chain and increase their market access. Promote women and youth’s economic empowerment. The 2017 Indian-Ocean Rim Association (IORA) Summit (March 5-7, 2017) was the first IORA Summit. The leaders and representatives of the 21 member countries (including India) of the Indian Ocean Rim Association (IORA) have signed the Jakarta Concord – “Promoting Regional Cooperation for a Peaceful, Stable, and Prosperous Indian Ocean” that aims to lay the foundation and set the course for cooperation for the organization of Indian Ocean states in the coming years. In the document, the IORA states declared their commitment to promoting maritime safety in the region, enhancing trade and investment cooperation in the region, promoting sustainable fisheries management and development, enhancing disaster risk management in the region, strengthening academic, science and technology cooperation, fostering tourism and cultural exchanges, Blue Economy, and empowering women in the economy. It calls for collaboration among IORA member states in meeting growing demand for renewable energy in Indian Ocean littorals, development of common renewable energy agenda for Indian Ocean region (IOR) and promote regional capacity building. It also calls for promotion of technology development and transfer, strengthening of public private partnerships (PPP) in renewable energy and collaboration among IORA member states and member nations of International Solar Alliance (ISA). IORA member countries also resolved to collaborate with International Renewable Energy Agency (IRENA). They will also collaborate with ISA member nations to exchange knowledge and share views and potential interests in renewable energy sector paved by MoU signed between IORA and ISA with focus on joint capacity-building programs, R&D activities in solar energy and exchange of best practices. IORA member nations and IRENA also agreed to undertake expansion of Global Renewable Energy Atlas, world’s largest-ever joint renewable resource data project, coordinated by IRENA. This will help in creating Indian Ocean region’s first and most comprehensive map and database which can be used to tap sizable renewable energy potential of region and collaborate on opportunities available under International Renewable Energy Learning Platform (IRELP).